Forklift & Material Handling - UK's BEST value Hangcha Electric Pallet Truck Rider - 3000kg Load Capacity - 5.5kph/7.5kph - GB Forklifts from GB Forklifts Ltd.
Hangcha A Series Electric Pallet Truck Easy Rider with 2000kg lift capacity has been engineered using the latest AC drive technology, has advanced performance, is comfortable, safe, reliable and has low maintenance costs. With a fully laden speeds of 6.5kph or 9.0kph, it is the ideal electric pallet truck for heavy duty and long distance transport operations. The truck adopts a unique floating suspension system ensures good driving wheels' grip and excellent stability. Waterproof connectors and all wires and cables are protected which greatly improve the reliability of the electric system. Using non-contact proximity switch, improves safety and reliability. Top quality hydraulic power unit applied to provide low noise, low vibration, smooth lifting and landing reliable operation. 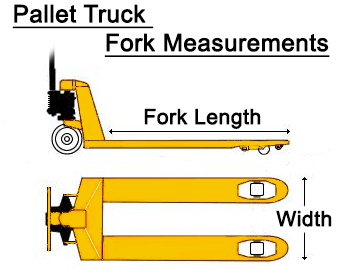 Punch formed forks to provide more strength and tip guide to provide higher efficient operation. Electric power steering (EPS) is standard specification which provides flexible operation. Powered by AC traction motor not only has good acceleration and climbing performance, but also low heat, brushless, maintenance-free. Latest AC control system, precise and smooth. CAN-BUS connection enables all truck data can be read out for inspection, and also improves the data transition more quick and reliable. Regenerative braking for battery recovery during travel speed reduction. Smooth driving and more comfortable operating experience thanks to a new design of the floating drive suspension system. The compact body and semicircular design provide an ideal operation in limited space and the wedge designed chassis greatly increases the passing ability. AC motor without carbon brushes is maintenance-free and cost saving. Integrated battery indicator, hour meter and self-diagnostic instrument. Full opened hood, easy accessibility of all components is easy for servicing. All shafts install lubricated shaft sleeve and oil cup provide convenient maintenance and long service life. Punch formed frame provides more operator safety. Three braking system of regenerative braking, reverse current braking and parking brake ensures safe operation. Anti-sliding function on slope ensures safe operation. The emergency button on tiller head for quick and simple use. Displayed turtle speed function applied when moving slowly helps to stack goods in narrow spaces.